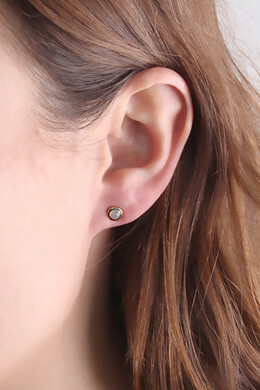 Our exclusive Sterling Silver Collection: Timeless and subtle luxury. 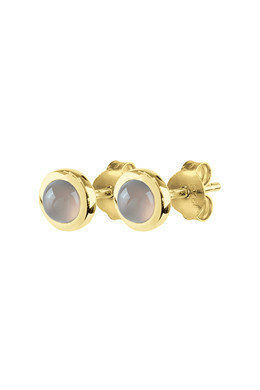 These studded earrings in polished Sterling silver with 18 karat gold plating are created with cabochon cut grey opal stone. With butterfly closure.